Many more expected El Nino storms, in combination with warming coastal waters, could lead to an increase of stranded animals off the coast of California, a specialized veterinarian with SeaWorld said. "If more animals end up in trouble on our beaches, they will go find unusual spots to hollow out and to rest and just to warm up," said Hendrik Nollens, a veterinarian with SeaWorld San Diego. He works with stranded animals. "So we will see increased numbers of sea lions on our beaches this year." 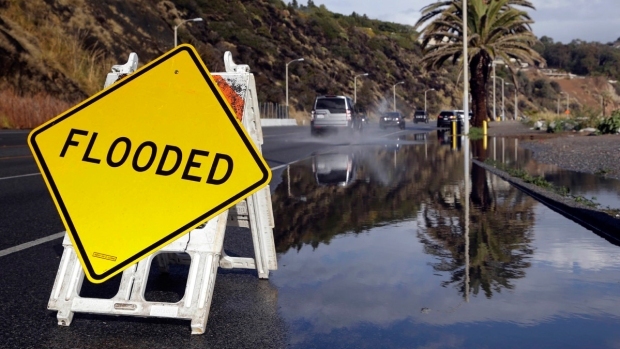 San Diego endured its first El Nino-fueled storm this past week, which left roads flooded and broken, thousands without power and many homes damaged from flood waters. When the rain quelled, one NBC7 viewer found a sea lion sitting on her porch. Situations like those may become more common, Nollens said. "We will see increased numbers (of stranded animals), which probably means that we will see increased unusual scenarios where sea lions sit in cars or on highways or on on ramps or on back porches," said Nollens. Sea lions especially can be quick and smart, Nollens said, so they are more likely to find dry and safe places. The expected increase in stranded animals has been developing for years, due to warming temperatures in the water off the coast of California -- what Nollens called an ecosystem shift. "The water conditions off our coast here in San Diego are definitely a little unusual; we are in the middle of a strong El Nino year," Nollens said. "But we already actually had an unusual circumstance for the last three years; we have had unusually warm water off our coast, which has led to increased, really unprecedented, high numbers of stranded California sea lion pups that have washed up on our beaches." In a normal year, SeaWorld San Diego will rescue 150 to 200 stranded seals and sea lion pups. Usually, April, May and June are their busiest months. However, Nollens said, they haven't had a normal year in three years. Since Jan. 8, crews have already rescued eight animals. This year, they aren't sure what to expect when El Nino mixes with the warming waters. "We don’t actually really know what to expect," said Nollens. "Something's going to happen; the two may compound each other, they probably will, its kind of an unusual scenario; we don’t know what to expect." To notify SeaWorld about a possible stranded animal, please call (800) 541-7325.